Susan Blackwell Ramsey reading from one of her poems in WMUK's Studio B.
Ramsey often uses humor in her poetry. She says she feels consistently tragic works seem fake, because even a dark subject can have black humor. Ramsey uses a lot of forms in her poetry. She says she likes forms because they push her to continue writing until the poem has finished in that form. Ramsey says poems should even start after the writer finishes saying what they were going to say. Ramsey dedicated her new book to her husband, who she says in the dedication is the only person who reads poetry but doesn’t write it. Ramsey says she believes poets are the only ones who read poetry because most people who like poetry usually take a stab at it themselves. 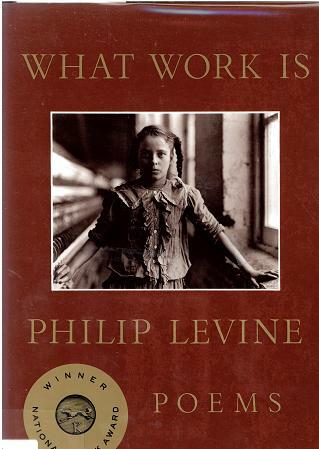 Philip Levine, the most recent poet laureate, is coming to Western Michigan University Friday. Levine was born in Detroit. Some of his most famous poems are about his time working for General Motors, a job he says he didn't like very much.